We are a leading Manufacturer of control panels for electrical industry from Coimbatore, India. 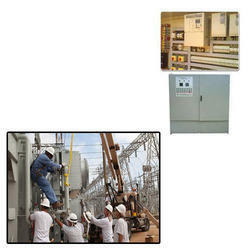 We are one of the prominent manufacturers and suppliers of Control Panels for Electrical Industry. The offered panels are manufactured using supreme quality components and ultra-modern technology by proficient professionals. These high functionality products are designed to exhibit longer operational life, greater efficiency and low maintenance. Control panels are tested for their flawlessness before handing over to the clients. Made available in several specifications, these efficient panels are easy to operate and robustly constructed. Looking for Control Panels for Electrical Industry ?